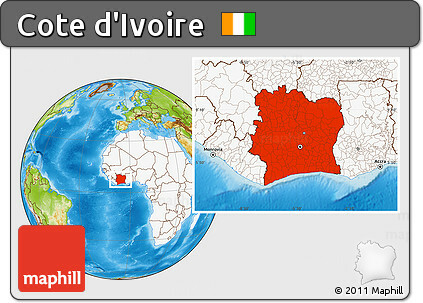 Ivory Coast is the world’s leading producer of cocoa beans, supplying 33 per cent of the total. The Basilica of Our Lady of Peace in The Ivory Coast capital of Yamoussoukro is the largest church building in the world covering 323,000 sq ft.
Ivory Coast has only ever won one Olympic medal: a silver in the men’s 400 metres in 1984. Queen Abla Pokou is the legendary founder of the Ivory Coast and is said to have led the Baoulé people there from Ghana in the mid-18th century. She is said to have sacrificed her own child to river spirits to lead them across the Comoé River. They have twice won the Africa Cup of Nations, in 1995 and 2015, both times beating Ghana on penalties in the final. Capital City: Yamoussoukro is the political capital and administrative capital city of Ivory Coast and an autonomous district of the country. As of the 2014 preliminary census, the district had a population of 355,573 inhabitants. Religion: Most Ivoirians practice local religions, which are sometimes infused with elements ofChristianity or Islam, or both. Government estimates in the 1980s suggested that about one-fourth of the population was Muslim, and one-eighth, Christian–mostlyRoman Catholic.